Squeak Blog – Samsung Galaxy S3 – worth dropping the iPhone? Almost everybody knows the inconvenient and frustrating experience of using iTunes to perform all data, multimedia, and applications synching with the iPhone. Not to mention the numerous times I have had to painfully re-organise my screen app icons, and manually copying my music because synchronisation does not bring everything across to my iPhone. These are just the few cumbersome reasons why I considered dropping my iPhone for the Samsung Galaxy S3. Before coming to any conclusions, lets have a closer look at the phone. The Samsung Galaxy S3 is considerably bigger than your conventional smartphone, very big actually – the lcd screen itself is almost as big as the iPhone 4S in it’s entirety! However size does matter, on the positive note, watching videos on the Samsung Galaxy S3 is a pleasure sight to enjoy. The large 4.8 inch screen sports a super 1280×720 HD display, giving it a true widescreen resolution for those high definition movies. My favourite feature is the ‘pop-up play’ video, where you can leave your video playing on top of your apps, and move it around without causing any lag. This is multi-tasking at its best with its 1.4 Ghz quad core processor. On the down side however, the extra large screen makes it a difficult task to manoeuvre your fingers across the screen if you are holding the phone with one hand. It is virtually impossible to reach corner to corner (diagonally) using just your thumb without having to slide the phone down your hand. What really impressed me was the HSPA+ data speeds over the Vodafone network. Yes thats right, I said Vodafone network, hence the ‘impressive’ part. The 3G data speeds on the iPhone is not even worth mentioning, and expecting the same results on the Samsung Galaxy S3, this was not the case. The HSPA+ speeds were quite impressive. 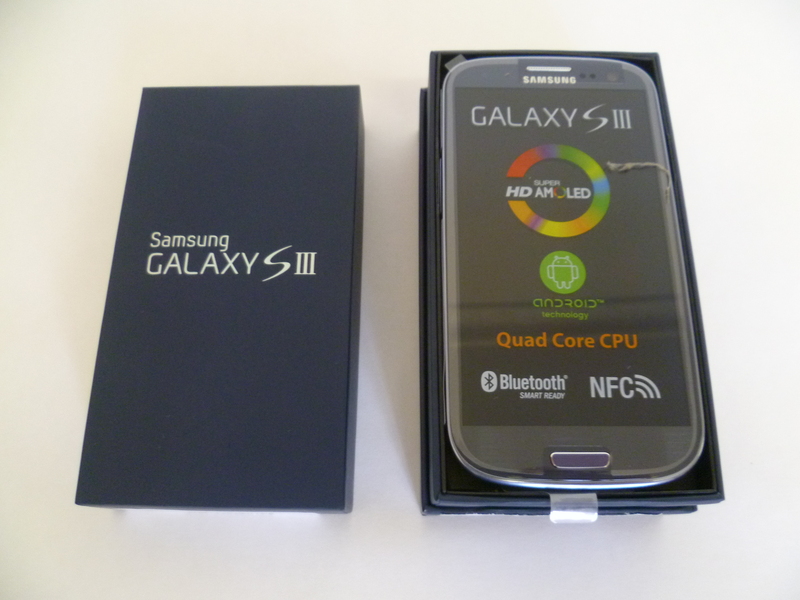 Adding to the cool factor of the phone, the Samsung Galaxy S3 has stacked in a whole lot of features to enhance the experience of the user, as their motto says “designed for humans”. They truly had the user in mind and understood the behavioural habits of users when creating features like automatic dial when the phone is placed to your ear, silencing a call when the phone is turned upside down, keeping the backlight on when your eyes are still watching the screen, and many more. 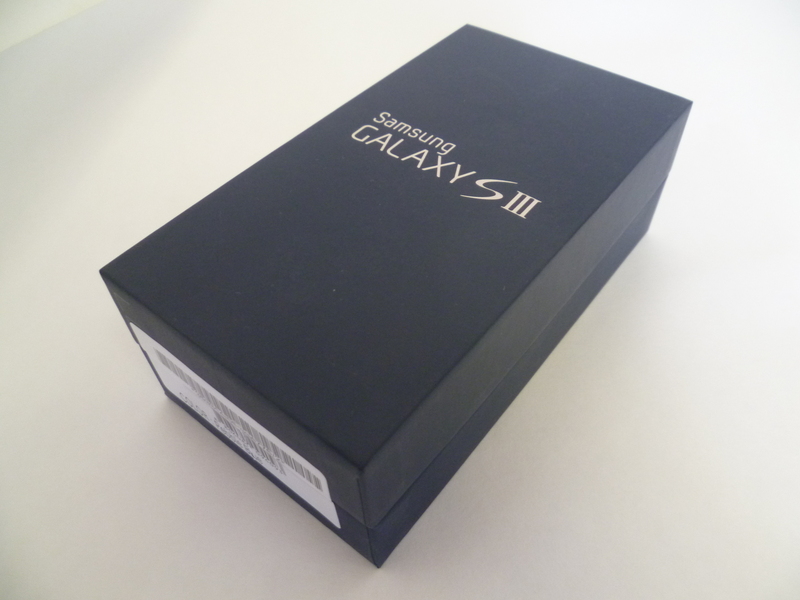 Although the Samsung Galaxy S3 sports a big screen with a higher resolution than the iPhone 4S, the iPhone 4S however carries a higher pixel density (measured by dots or pixels per inch). Famous for its ‘retina display’, the iPhone 4S presents 326ppi vs the Samsung Galaxy S3 306ppi. What this means is better clarity of lines and edges on the iPhone 4S vs the Samsung Galaxy S3. 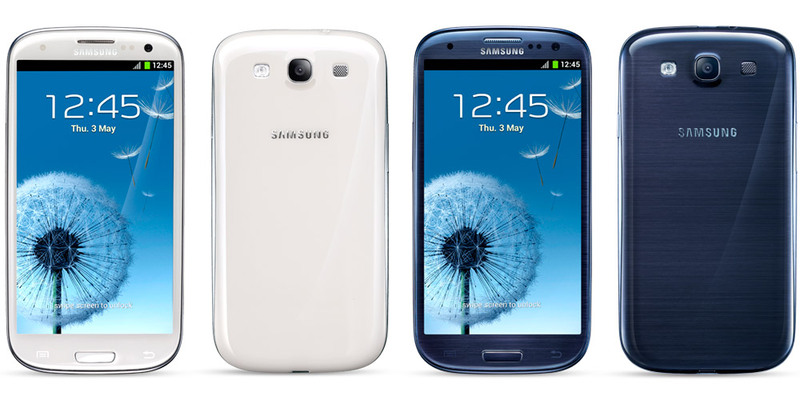 Comparing the physical properties of the two phones, the Samsung Galaxy S3 is made of a very light weight plastic, much lighter than the iPhone 4S which houses a full aluminium mould. Being such light in weight, I sometimes don’t feel I have a phone in my pocket. I find the plastic housing quite flimsy, especially when removing the back cover, I feel that I need to be very careful as not to break it. There is much thought put behind the design, and the curves show this very well. However I am quite disappointed in the overall finish of the phone, and expected a more solid housing construction. Backing up is very simple with the Galaxy S3. As with all Android smart devices, the ease of drag-n-drop prevails over any iTunes experience. Samsung does ship its own management interface with the Galaxy S3, but nothing beats the good old drag-n-drop. 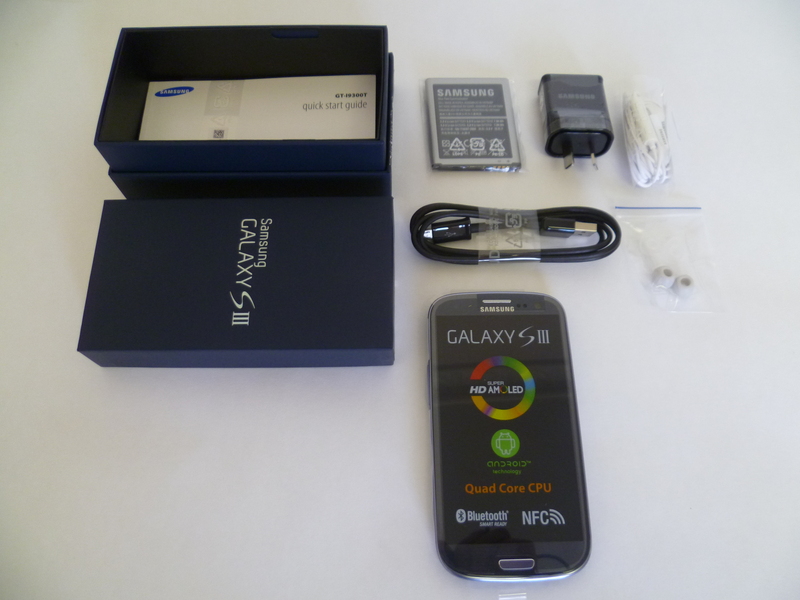 Synching on the Samsung Galaxy S3 is very simple also. The Android operating system syncs everything with your google account. This is equivalent to Apple’s iCloud. Apart from the actual phone itself, the Android user experience has let me down. I was unable to get comfortable with the flow of screens, accessing items, and performing tasks. It could be that my mindset is so programmed into the iOS user experience that I will need to re-program my mind for the Android. However, despite my opinions based on my experience, there are also people who I know that have made the successful transition into the Android and have dropped their iPhones for the Samsung Galaxy S3. Here is another viewpoint from the SMH, http://www.smh.com.au/digital-life/mobiles/why-i-abandoned-the-iphone-20120718-228xy.html. I guess it is true to say for me, that “once an Apple always an Apple”. Despite my banter about iTunes, user experience is always a winner in the end, and for me that is the straight forward experience of the iOS. Having said that, I do not discredit the Android operating system, perhaps for me if I had used the Samsung Galaxy phones before the iPhone, then I would probably stand in a different opinion right now. 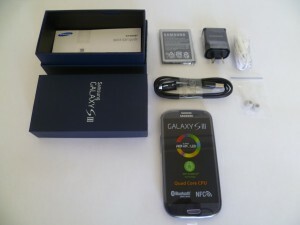 There is no doubt the Samsung Galaxy S3 packs a heck of a lot of features, and the phone itself is just great. But when it comes to choosing a phone, features and specifications is only just half the decision. Whether or not you will continue to enjoy using the phone a week into possessing it, comes down to your comfort with the user experience.